How to go to Ulsan from Incheon Airport by Bus? 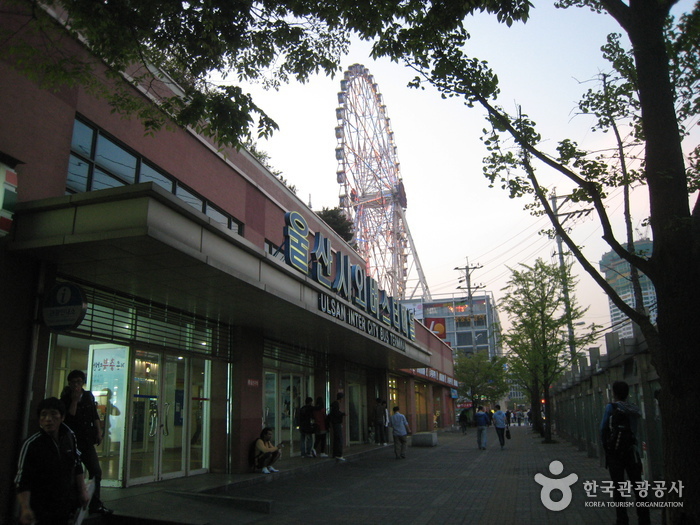 Many tourists know that they can get to Ulsan by using train or plane. However, for those arriving in Incheon Airport, taking a plane to Ulsan may not be convenient because most flights to Ulsan departs from Gimpo Airport. KTX train is a good option as there is a direct 3 hour train from Incheon Airport to Ulsan Station in Eonyang. Do you know that you can actually take a limousine bus from Incheon Airport to Ulsan too? This bus service will take you to directly Ulsan Intercity Bus Terminal in Samsandong, where Lotte and Hyundai department stores are located. In fact, getting to Ulsan using bus is far cheaper than using KTX train. The one way bus ticket from Incheon Airport to Ulsan Intercity Bus Terminal is only 42,800Won. This is a lot cheaper compared to KTX train fare which is 92,100Won for first class and 65,800Won for standard class. After departing from Incheon Airport, this bus will stop over at Songdo Transfer Center before going straight to Ulsan. The bus trip to Ulsan from Incheon Airport will take approximately 300 minutes (5 hours). For the first bus departure from Incheon Airport at 7.40am, you can expect to arrive at Ulsan Intercity Bus Terminal in Samsandong at 12:40pm. For the second bus from Incheon Airport, the expected arrival time in Ulsan is about 6.10pm. For the last bus departing Incheon Airport to Ulsan, passengers will arrive at Ulsan near midnight at 11.00pm. 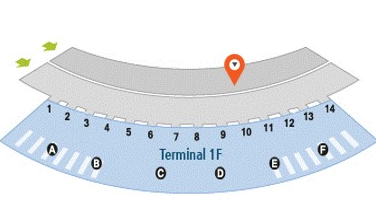 Where to board the bus to Ulsan at Incheon Airport? The limousine bus from Incheon Airport to Ulsan is operated by Gyeongbuk-Kochi-Service. You can board the bus at bus stop 10C at 1st floor passenger Terminal 1 upon flight arrival at Incheon Airport. You can also take the bus from the new Terminal 2 of Incheon Airport. Be sure to be at the bus stop 15 minutes before the departure to avoid missing the bus even though you have bought the bus ticket. 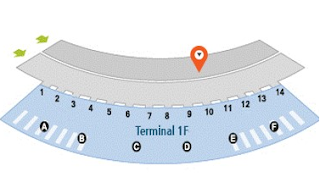 The location of the bus stop at Incheon Airport is shown in the picture below. After 5 hours of bus trip, you will arrive safely at Ulsan Intercity Bus Terminal. The advantage of taking bus from Incheon International Airport to Ulsan is that there is no transfer in between. This is good for those tourists who have many baggages or travel with kids and elderly people. If you choose to take KTX train, be sure to choose the direct train if you do not want to transfer at Seoul Station. You do not have to worry about this if you take bus. After your stay at Ulsan, you can also take bus from Ulsan Intercity Bus Terminal to return to Incheon International Airport to take your flight. There are also three buses from Ulsan to Incheon Airport a day. The bus departure schedule from Ulsan Intercity Bus Terminal to Incheon Airport is 12:30am (after midnight), 5:40am (early morning) and 10:00am (morning). If you wish to leave Ulsan for Incheon Airport in the afternoon, you have to consider taking KTX train because there is one departure from Ulsan to Incheon Airport in the afternoon. In conclusion, taking bus from Incheon Airport to Ulsan is a cheap and convenient option for those who arrive in Korea on international flight in Incheon Airport and want to go to Ulsan. You can also use the same bus service for your returning trip from Ulsan to Incheon Airport. Enjoy your trip to Ulsan!